Wahoo for Art! 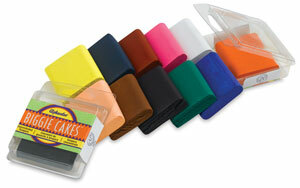 : My Favorite Art Supplies: Tempera Cakes! My Favorite Art Supplies: Tempera Cakes! Today, I'm showcasing one of my absolute favorite art supplies, tempera cakes! If you've never used them in your art or class room, I encourage you to try them out. They are pretty mess-free and easy to store, plus they last much longer than liquid tempera. Here are two possibilities from BLICK art supplies. I have used both brands and have found that they both work well. A tempera cake is basically dried out tempera paint that has been molded into a solid shape. They work like watercolor in that you use a wet brush applied to the paint to make the paint workable. Unlike watercolor, though, the colors can quickly go from transparent washes to bright opaque hues, and they are fun to mix and blend right on the cake itself. 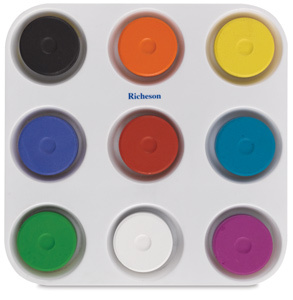 We use these anytime the kids need a variety of colors, when we want the brightness of tempera with the control of a watercolor. I've experimented with lots of different organization techniques over the years, but this year I found a method that I really think is easy for me and the kids. By putting each color into it's own lined wrapper, they can be stacked in a storage bin in my cupboard. Then when I need to distribute them, I just put one of each color we need into a tray, and put one tray on each table. 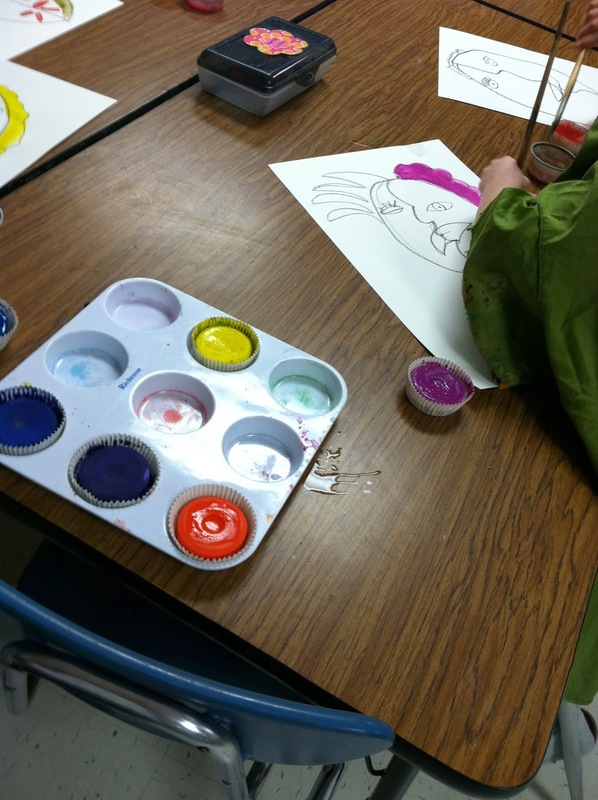 This way, the kids can grab the color they need from the tray. It makes passing out and sharing the supplies really easy! I just love how bright the colors turn out, and the kids love that they look like cupcakes! 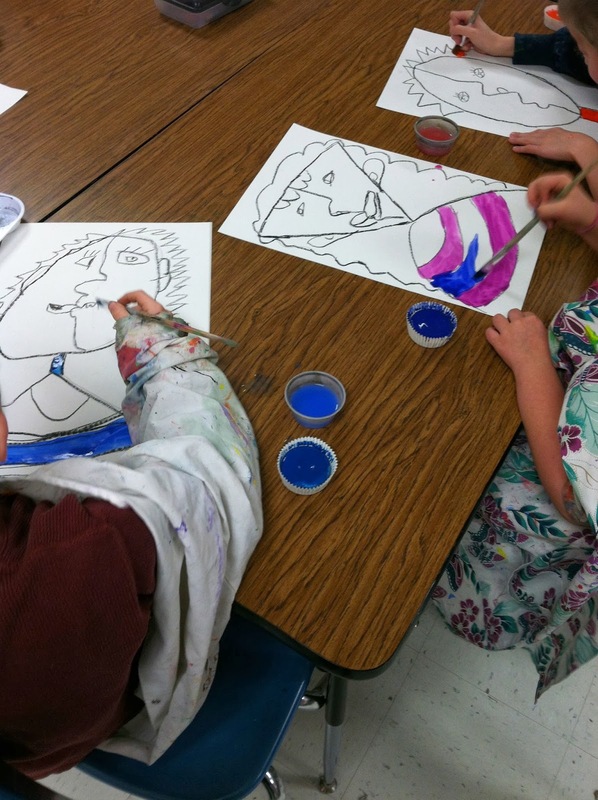 Here the second grade students are painting some Picasso portraits.